2. 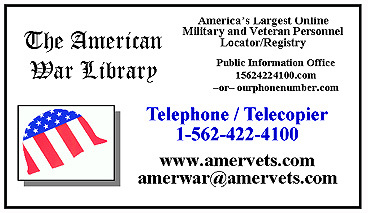 Print and mail this completed form, along with a copy of your or the veteran's DD-214, WD AGO 53-55, NAVPERS 553, NGB 22, or other pre-arranged military document(s) to the address at the bottom of this secure form. 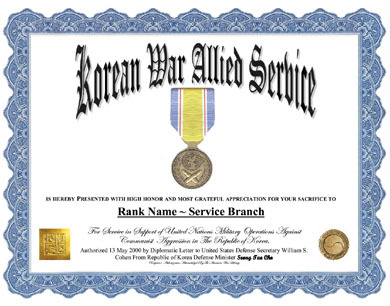 Would you like to receive the Official, full size Republic of Korea replacement medal and/or ribbon? Yes, please include the official medal and add an additional $21.50 to my total. Yes, please include the official medal and the ribbon, and add an additional $25.50 to my total. Would you like to track your package through the United States Post Office after it has been shipped (for forty-five [.45] cents extra)? If using your charge/debit card, enter the card number and the card's expiration date. Sign the form. Click the SEND button below to notify The War Library that your DD-214 will be arriving within a few days by mail.